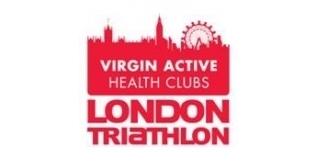 With the 2011 Virgin Active London Triathlon just days away, we thought it would be good to look back on the 2010 edition - and what better way to do that than through our massively popular GE triVIEWER application. And early next week we'll be bringing you triVIEWER+ from the 2011 edition of the Virgin Active London Triathlon too! 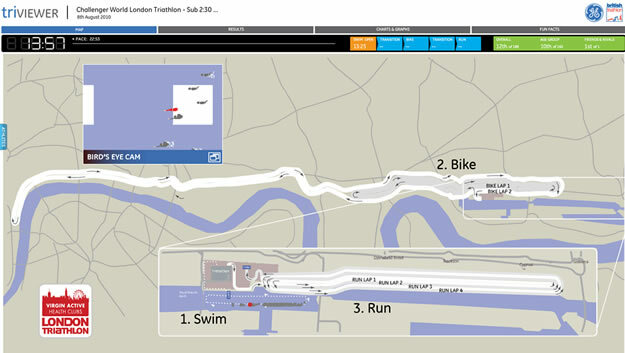 To launch the London Triathlon 2010 triVIEWER+, just choose the event you want to watch and analyse, and away you go! You can even share your race with your friends via Facebook and Twitter. We also have triVIEWER+ available for the 2011 Blenheim Triathlon HERE, the 2011 Toshiba Windsor Triathlon HERE and the 2011 GE Canary Wharf Triathlon HERE. (Do check your selection carefully - with several different courses and distances being utilised across a London Triathlon weekend, there are 14 separate result sets and triVIEWER+ maps to choose from for London 2010. We've also included links to the detailed 'regular' results listings, to the right of the triVIEWER+ link).